Create endless possibilities with the Deco 4-Piece Sectional and Table Set. 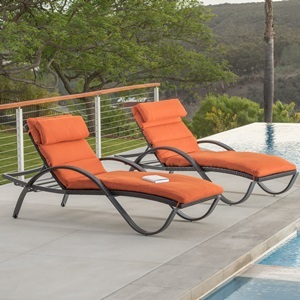 Stunning and comfortable, it's perfect for long afternoons, poolside parties, or whatever your imagination can throw its way. It's designed to last for years with materials engineered for exposure to the elements, and with a classic and comfortable design structure, it'll be a source of pride for years to come. 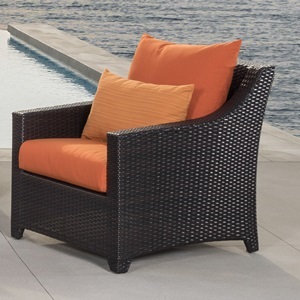 Set includes a two-piece oversized sofa, a corner chair, six coordinated accent pillows, and a woven accent conversation table.